Ask just about anyone and the answer will be unanimous: Wonder Woman is fearless. Most would be intimidated, maybe even terrified of Ares and his immense powers but Diana Prince will go toe-to-toe with the god of war anytime, anywhere. Her bravery shines through in everything she does and all her actions, even her sense of style. Not many would wage war with the god in charge of it but Wonder Woman does it while wearing a tube top mini dress. See what we mean about fearless? The next time you dress to impress add Wonder Woman dangle earrings for a bold touch which communicates a daring sense of style. The bigger the earrings the bolder the woman, that's what we say anyway. 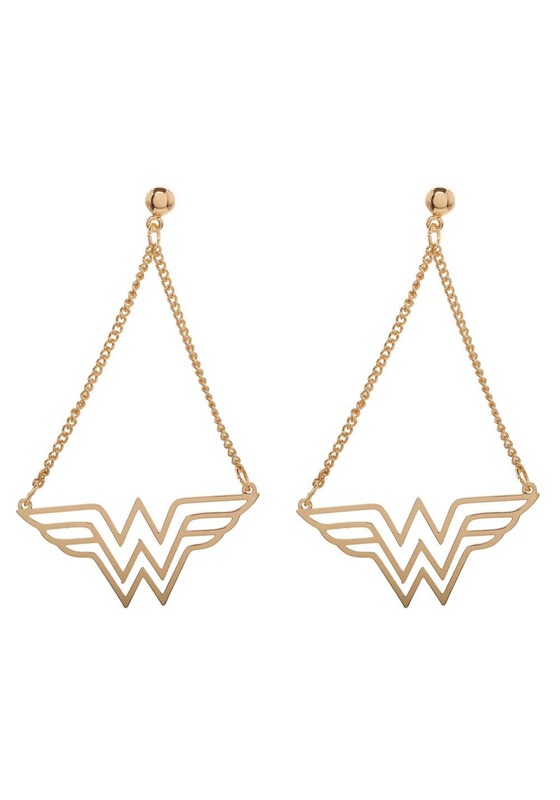 Officially licensed from DC Comics, these earrings feature the infamous "WW" emblem which dangles from 2-inch gold chains. Intended for pierced ears only, the gold-tone metal posts stay attached to ears via a ball backing. 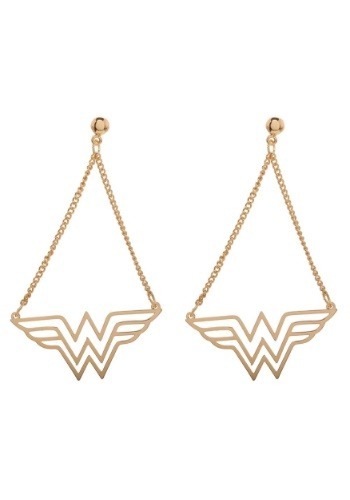 Add some "POW" to any Wonder Woman costume or t-shirt by adding these earrings to create some sparkle. Pro tip: they'll compliment your golden lasso so make sure you have one of those too.